When you’re buying new or replacement windows, window frames are one of the most important factors to consider. 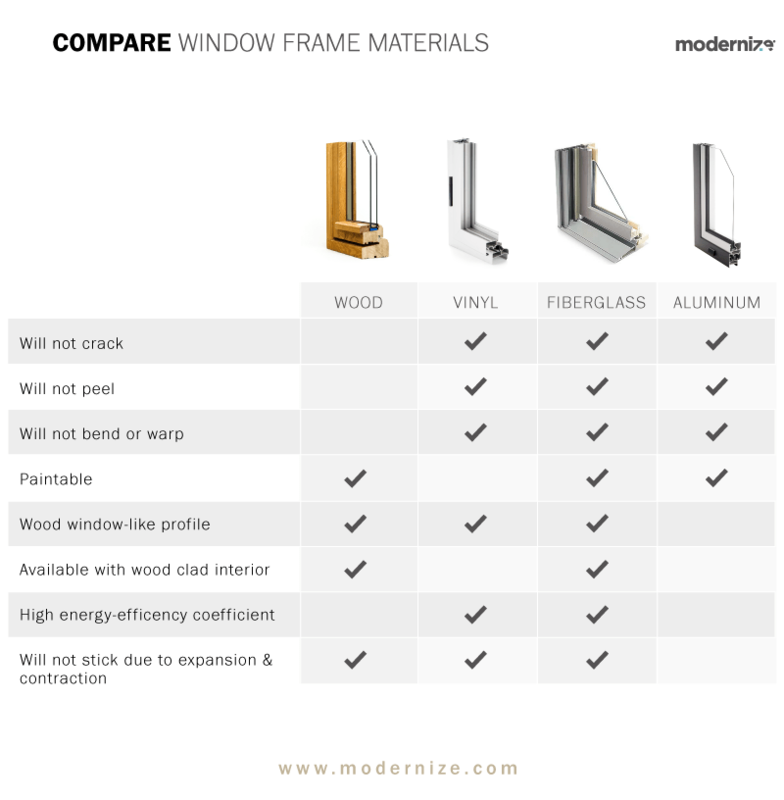 They’re the structural backbone of a window, and a quality frame will keep a window functioning for decades rather than years. When you’re looking for quality windows, start by focusing on the frames and then worry about the glass. It’s important that you know what type and size frame you need before you make the purchase. Benefits: vinyl windows are windows with frames made out of PVC (polyvinyl chloride), the same material used to make pipes and fittings for plumbing. The material is extruded into a straight shape and then crafted into a window frame and filled with glass.Vinyl windows are affordable and they are known for being good insulators. Vinyl is a versatile material and can be used to make most window styles, so you can get exactly what you’re looking for. Drawbacks: These aren’t the most durable option, and they don’t have the same aesthetic charm as wooden windows or aluminum windows. They aren’t quite as strong as fiberglass, wood or aluminum, even when made with the best design practices. Benefits: Aluminum windows are known for being rugged and long-lasting. They are also more modern and work well with sleek and modern style. They let in plenty of sunlight and are low-maintenance, especially when they aren’t painted. They won’t wear out in sunlight, and they won’t rot or mold from the common wear problems that affect wood, vinyl or fiberglass windows. Drawbacks: Aluminum windows aren’t very efficient, even though manufacturers do everything they can to boost those efficiency figures. When compared to other options, they fall short in terms of efficiency. They are also quite expensive. You’ll spend more for aluminum windows than you will for vinyl or fiberglass, though they are usually a bit cheaper than wooden windows. Benefits: Fiberglass windows are a less common but durable option, and they’re relatively simple to maintain. The windows are made from extruded fiberglass sections and the frames are a similar shape to vinyl frames.Fiberglass windows are known to resist weather and temperature changes better than any other material. That’s because fiberglass is so close in composition to the glass panes used to make up windows, so both materials expand and contract about the same amount during temperature changes. Fiberglass is an excellent insulator and makes window frames that work to prevent the transfer of heat. Drawbacks: Unlike wood or aluminum, fiberglass is a bit dull in appearance. This can be remedied by painting it a different color, but many people still don’t find it as charming. The material is also quite expensive and can cost as much as or more than aluminum or wooden windows. Fiberglass is much more expensive than vinyl windows are for a very similar look, and that’s why so many people end up with vinyl frames in their homes. Benefits: Wooden windows are just as durable and long-lasting as other window frame options when properly maintained. They’ve been used on homes for hundreds of years, and though they’ve adapted to modern standards, they still offer the same general strength and aesthetic appeal that they always have. Drawbacks: Compared to vinyl or fiberglass windows, wooden windows are pretty expensive. They also require maintenance. For instance, if you fail to repaint the windows when needed, they can suffer from severe expansion and contraction due to moisture changes in the wood. They are also susceptible to rot and weathering in certain climates. Before deciding on a new window frame, make sure you have them properly sized by an expert to fit the opening in your home. Without proper sizing, you’ll run into one of two major problems. The first is that the windows will be too large for the opening so you’ll either have to cut away some of the wall in your home to accommodate the new window size or return the window. If the window is too small it will be difficult to hang properly and will let in drafts, have poor insulation and potentially even break. Some window frames—especially wooden—can be repaired affordably. Still, you should assess the current condition of your window frame and glass before deciding if a repair or a full replacement is necessary. Rotting windows aren’t worth the trouble to repair and often can’t be repaired anyway. Single pane windows create a drafty environment and they aren’t good for insulation or energy efficiency, so if you have single pane windows in need of attention, it’s best to replace them entirely. 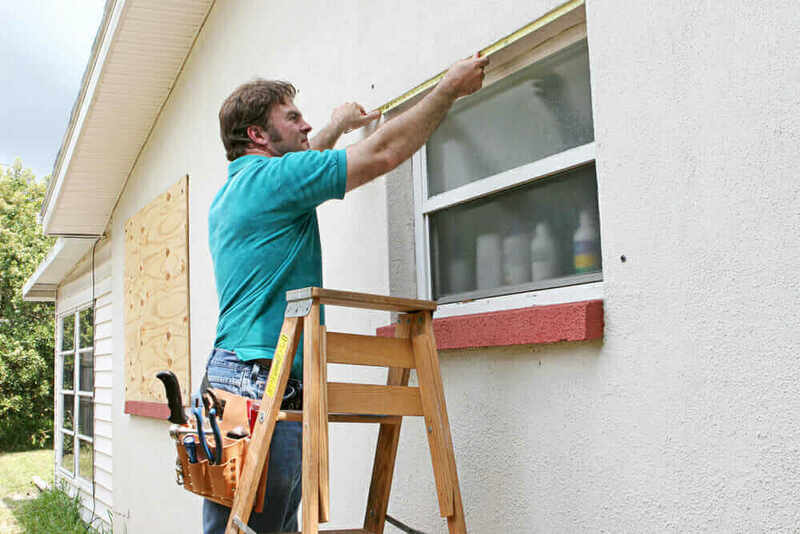 If your home’s windows are double paned, you might consider repairing them versus replacing. Wooden windows can be repaired and updated easily with kits and other commercial products sold for the purpose. Older wooden window frames offer a certain charm that you won’t get from windows sold today, so making repairs is an affordable way to save that vintage aesthetic. When shopping for windows you’ll have to decide if you want a full frame of open glass or a divided frame. Divided window frames have sections with small pieces of glass between each section. There are also windows designed with faux dividers that make the windows look separated even though they really aren’t. For an unimpeded view, avoid divided frames. On the other hand, if you prefer the classic look of window panes, here are several options to choose from. Windows with authentic dividers and small pieces of glass between each divider are quite expensive. They are more work to create and they have more weak points. They’re the best choice for an old-fashioned look, but they obstruct your view more than windows of open glass. For a realistic divided look, attached grid windows have a full pane of glass with dividers glued to their surface. They appear to be divided just like authentic divided windows, but they’re more affordable and generally more efficient. Finally, there are faux grids. These grids sit in front of the window as part of the frame and often don’t even touch the glass. They are the least convincing option in terms of a realistic look, but they are the easiest to clean. You can easily put a cloth in behind the separators and clean the entire glass all at once, which makes it much less of a hassle than cleaning each individual piece. It’s common for a manufacturer to offer a “lifetime” warranty with their window and frame, but that warranty can mean one thing at one manufacturer and something completely different at another. It’s important to read the fine print and find out how long the warranty covers the windows and which conditions are covered so you know which manufacturers stand behind their products.